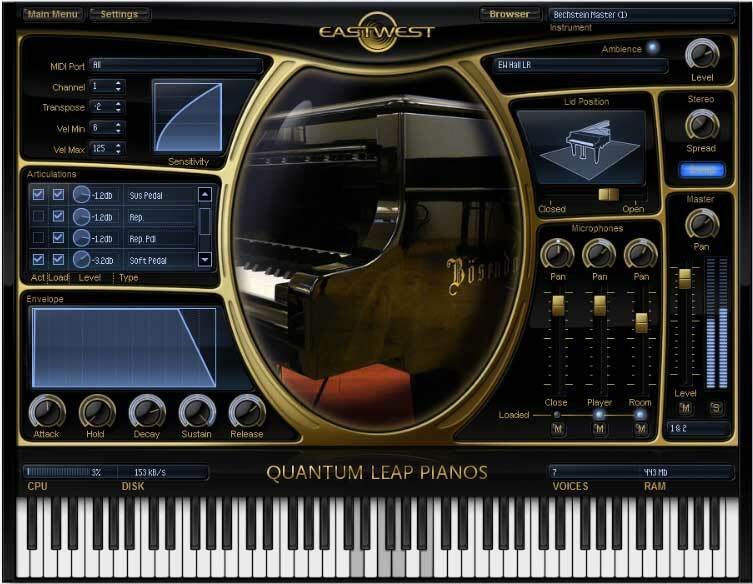 This virtual instrument includes a Bösendorfer 290. 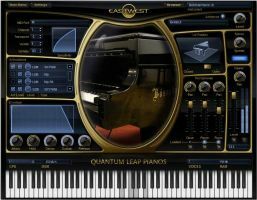 The Play interface includes impulses from the same hall the producers used to record Symphonic Orchestra and Symphonic Choirs so the pianos can blend with those collections. Additional close mics version engineered by Ken Scott (Elton John, Supertramp, David Bowie, Beatles). Load any piano or mic position individually (each piano is approx. 60GBs). 3 positions are included per piano for maximum flexibility. 10-18 velocities per note of sustain and sustain with pedal. 8-12 velocities per note of repetitions and repetitions with pedal. 5-8 velocities of soft pedal and soft pedal with sustain pedal. 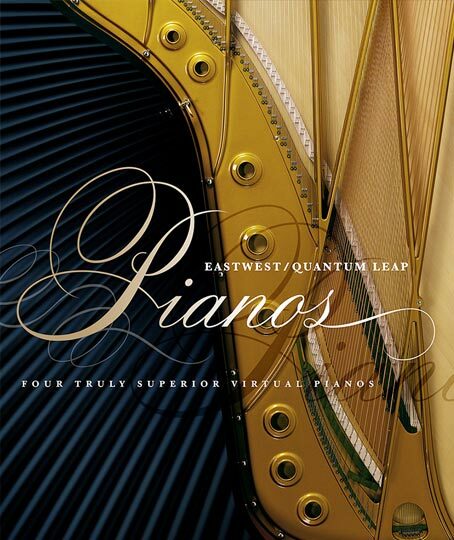 16 velocity staccato on every piano. Resonance - pedal resonance recorded for every note at multiple velocities, as well as with the soft pedal down. Proprietary resonance captured on the Bösendorfer. Release samples with software envelope follower. F. Soft pedal with sustain pedal. Recorded in a proper piano environment with vintage Neumann microphones, Meitner AD converters and a vintage 8078 Neve console. Stereo swap possible in software. Mic position mixing in software. Articulation matrix for quick and straightforward loading. Most powerful streaming engine available with highest polyphony counts.